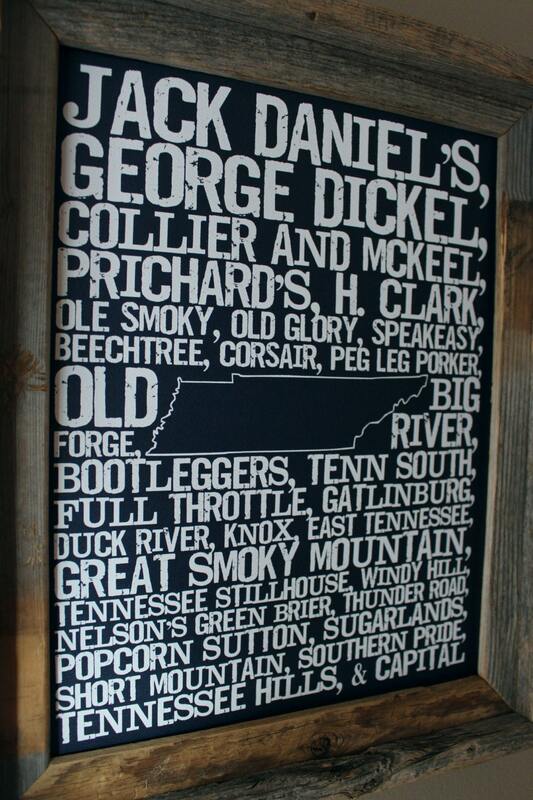 Who doesn't love a good beer? 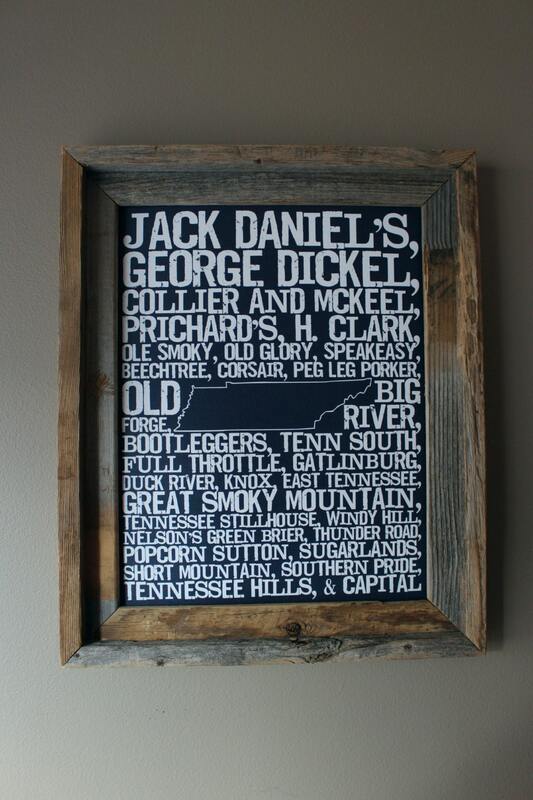 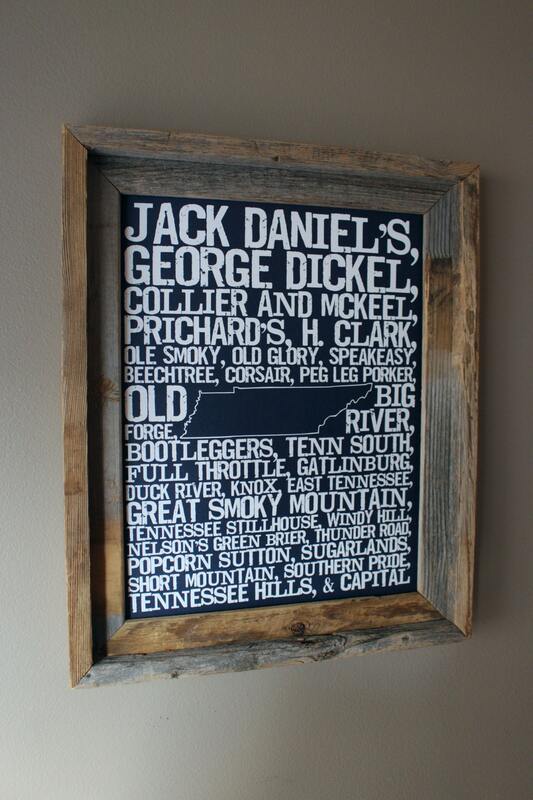 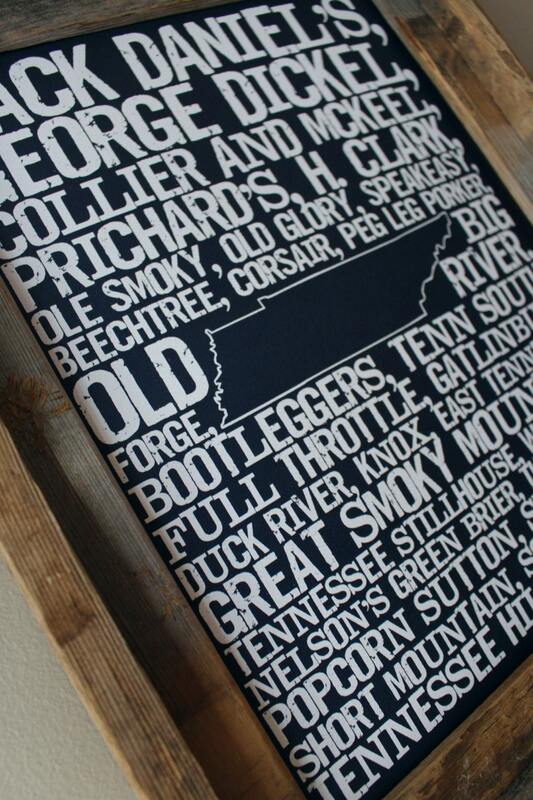 This 11 x 14 dark blue Whiskeys of Tennessee Word Map contains a collection of all your favorites from around the great state of TN, from Jack Daniel's to George Dickel to your favorite small batch offerings! 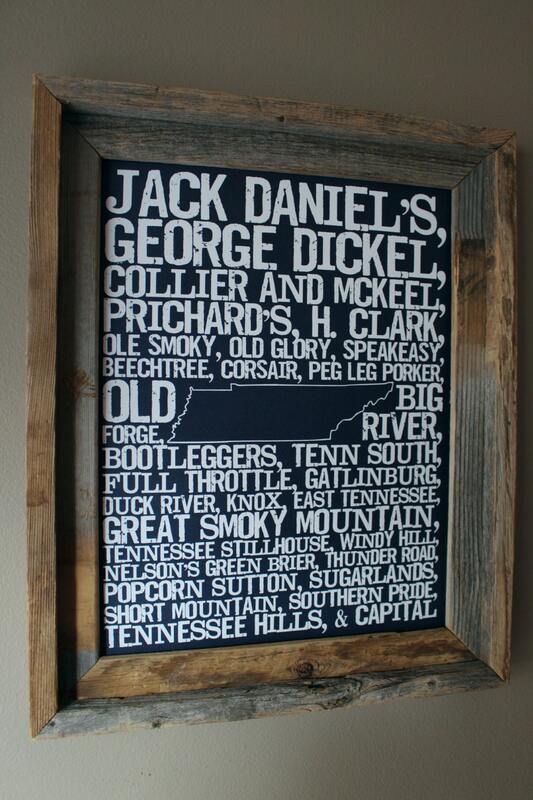 This piece would be perfect for any man cave, bar, or anywhere your house needs a little whiskey injected into it!